A modern take on the "tropical" dial. 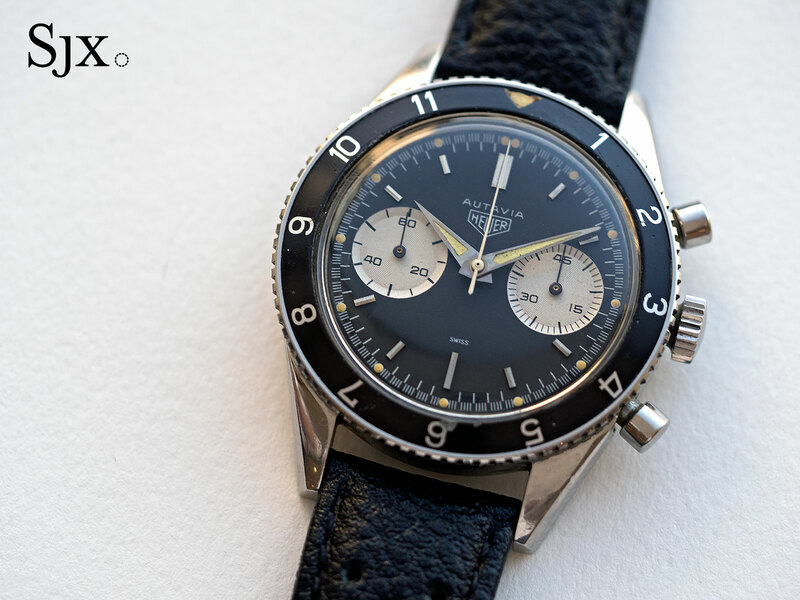 A remake modelled on the Autavia ref. 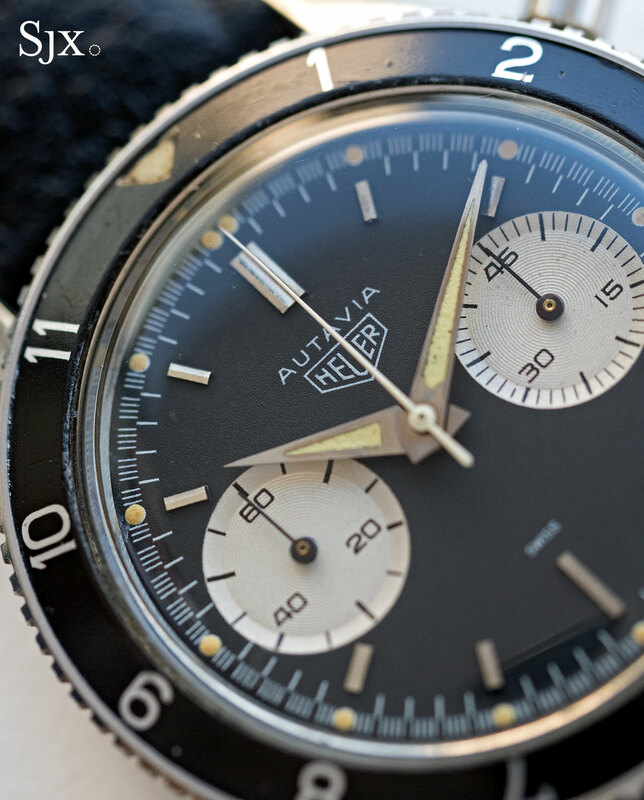 2446 “Nina Rindt” of the 1960s, the Autavia Heuer 02 is the flagship of TAG Heuer‘s Heritage line. 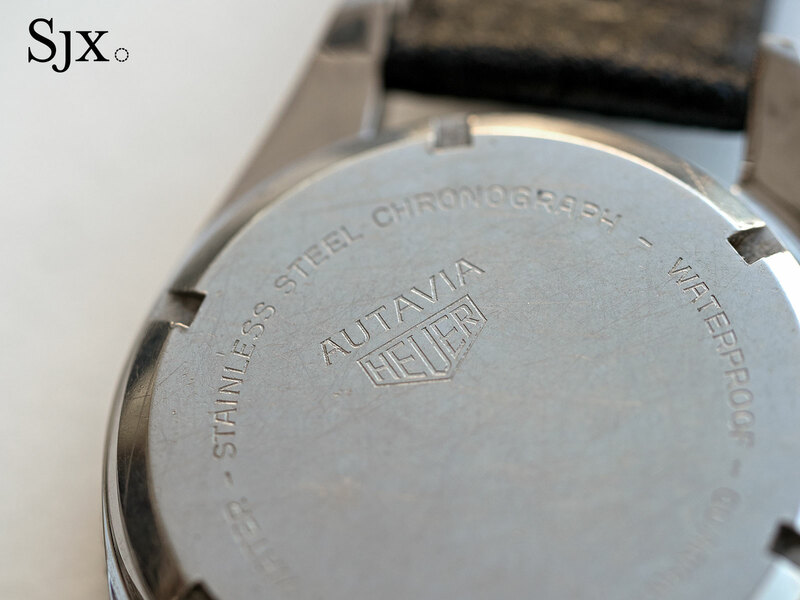 Only just recently the base for a “panda” dial Jack Heuer birthday special, the Autavia has once again been tweaked to create a 150-piece limited edition for the United Arab Emirates. 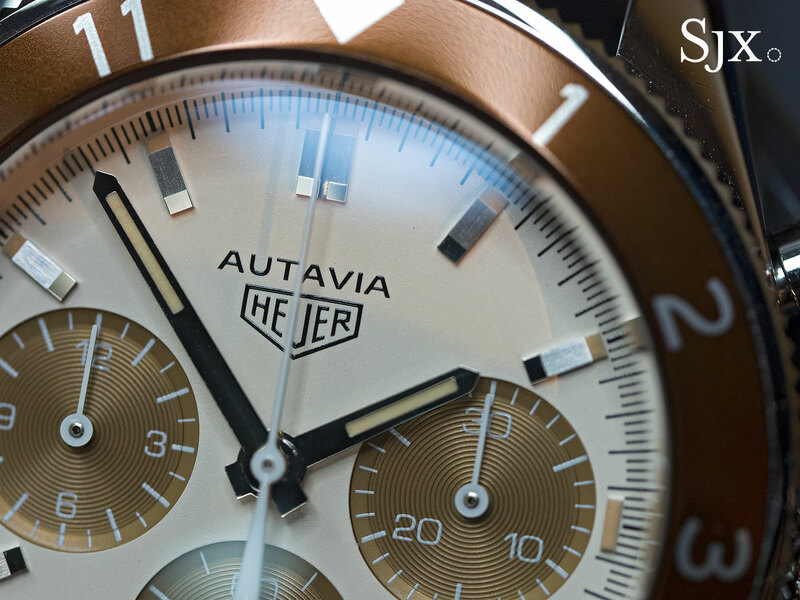 Loosely inspired by the sun and sand of the Persian Gulf, the Autavia UAE Edition has its bezel insert and chronograph registers in brown, not unlike the faded “tropical” dials that are fashionable amongst vintage watch enthusiasts. 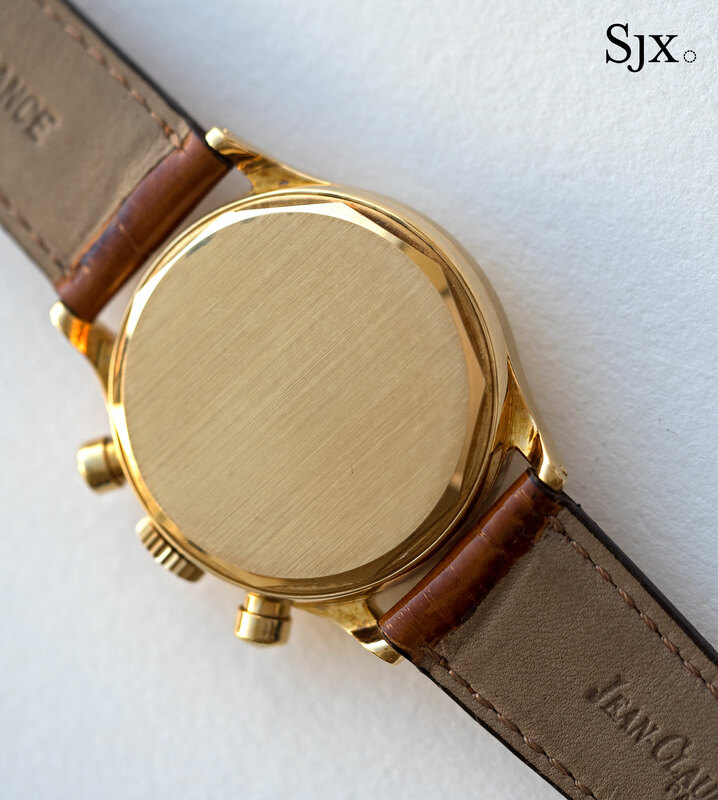 The dial itself is cream, with the Super-Luminova on the hands and hour markers done in a tan shade, once again to mimic the look of vintage watches. 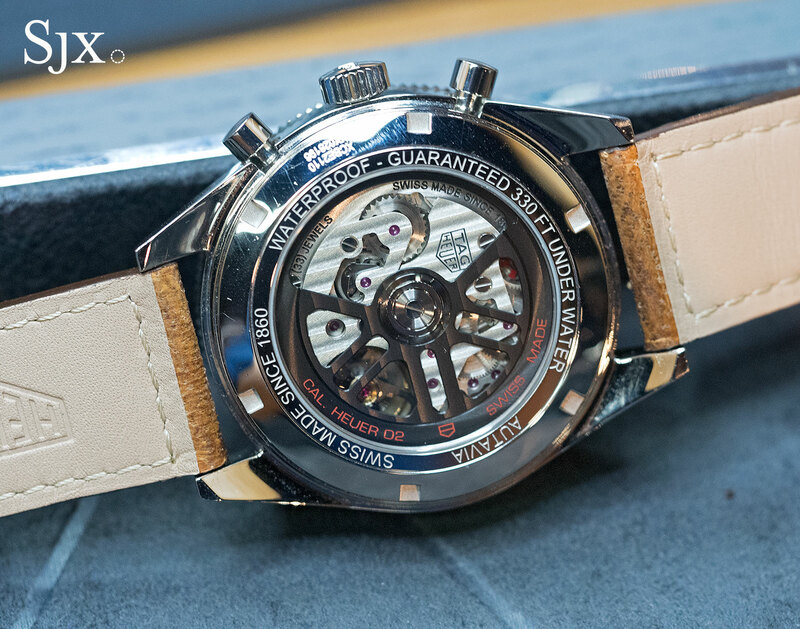 Though TAG Heuer has begun to introduce regional or national editions with increasing frequency of late, they are affordable and mostly attractive, as this one is. It’s a good looking watch, and also fairly unusual, for a relatively modest sum. 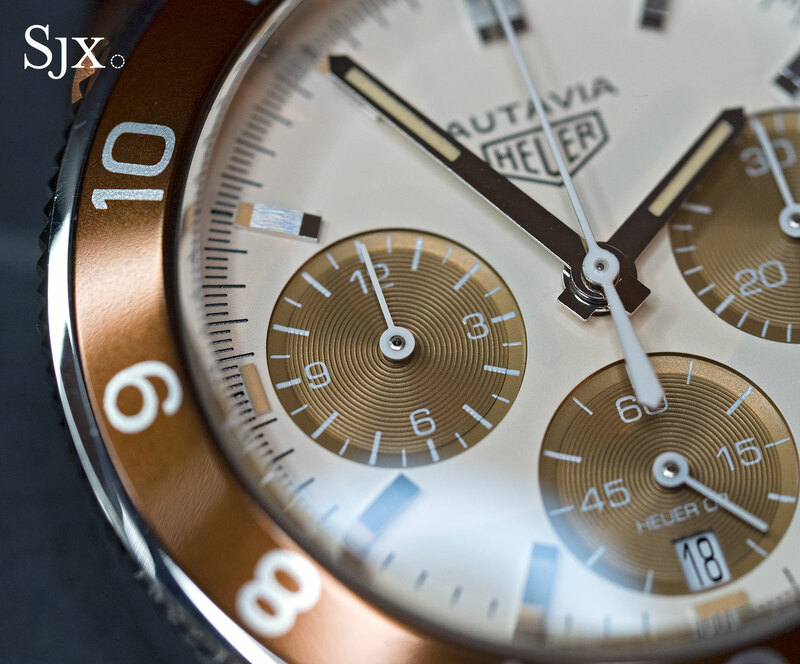 Livery aside the watch is identical to the stock model, with a 42mm steel case and the Heuer 02 movement inside. 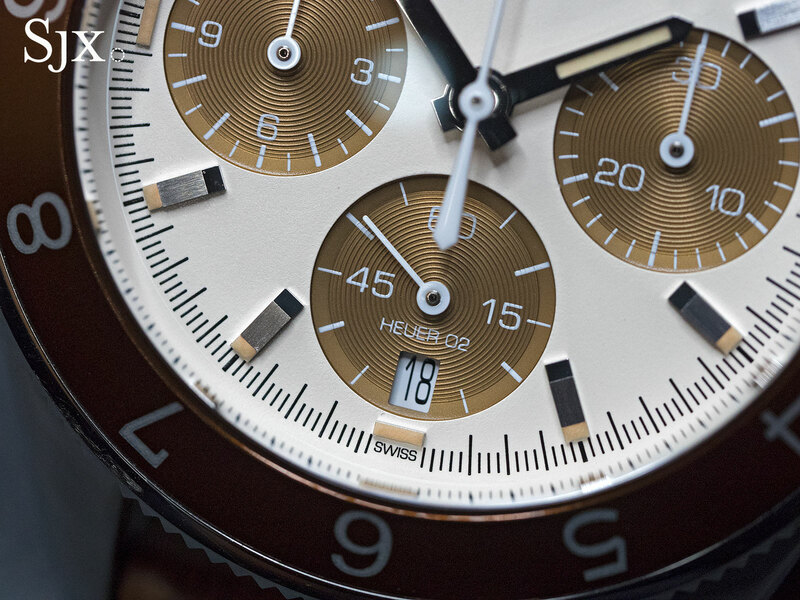 The product of industrialised production, the Heuer 02 offers a long list for features for a relatively modest price. It’s an automatic chronograph movement that’s the workhorse of the TAG Heuer line-up, featuring a column wheel, vertical clutch and a 75-hour power reserve. 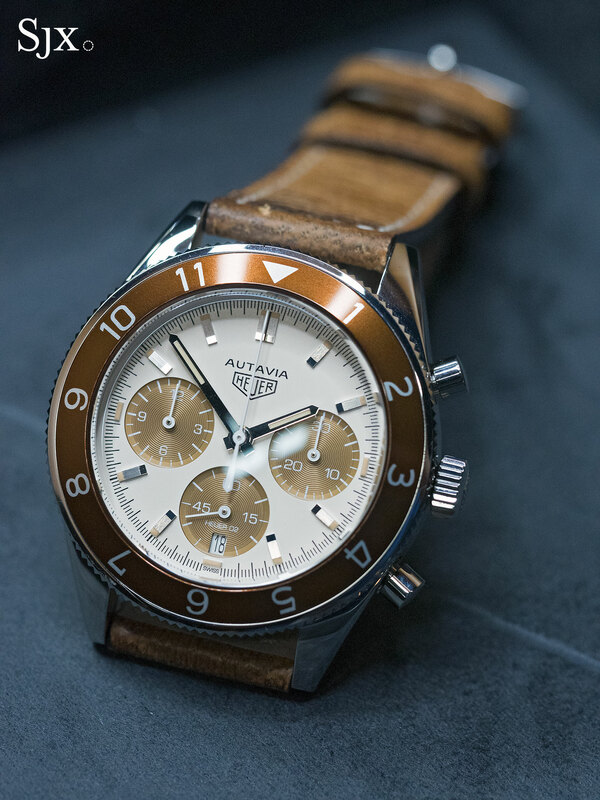 The Autavia UAE Edition is limited to 150 pieces numbered from “1” to “150”, and priced at AED21,500, which is about US$5770. A handful are available at Dubai Watch Week, while the remainder will be delivered in December and in 2018, available at Ahmed Seddiqi & Sons stores. 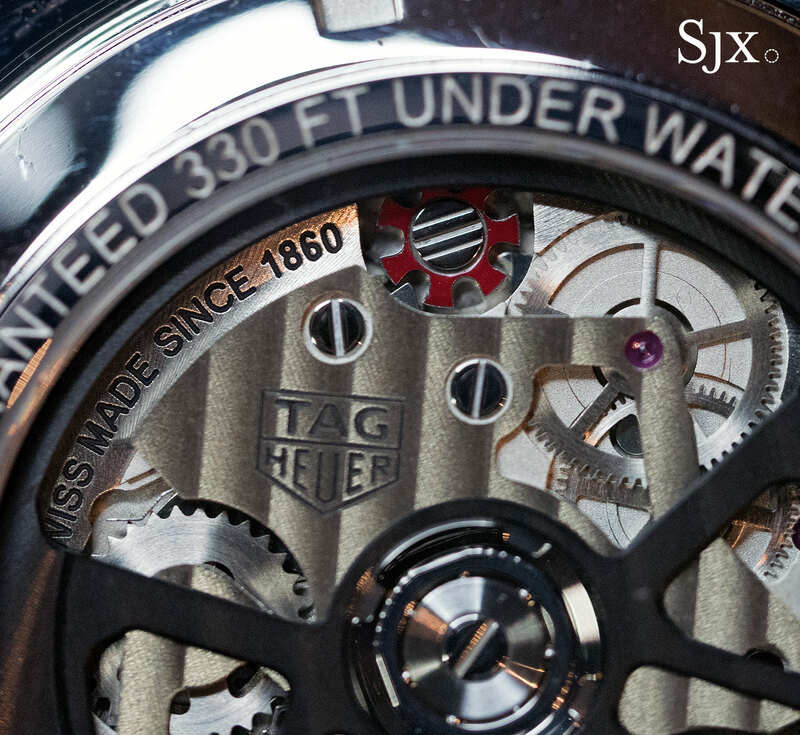 A tribute to the last of the Heuer family to run the company. 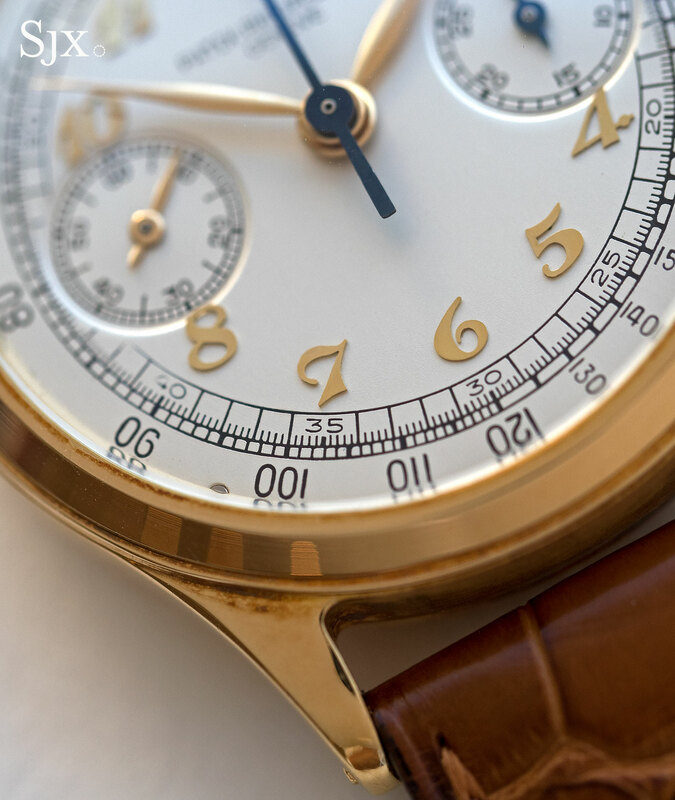 A diversity of vintage timepieces, including a one-owner Patek Philippe collection. 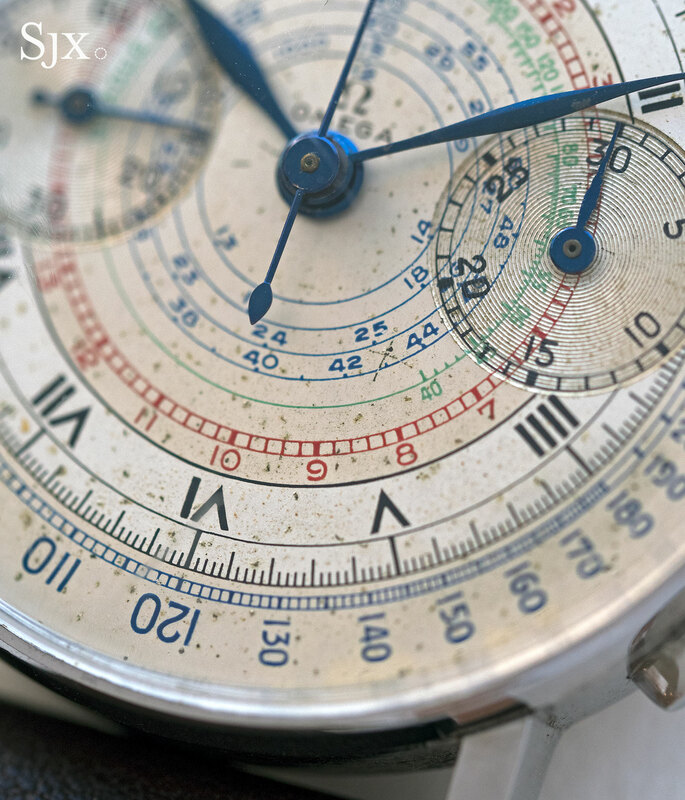 Christie’s annual end-year Hong Kong watch auction happens in two weeks, with 315 lots slated to go under the hammer. 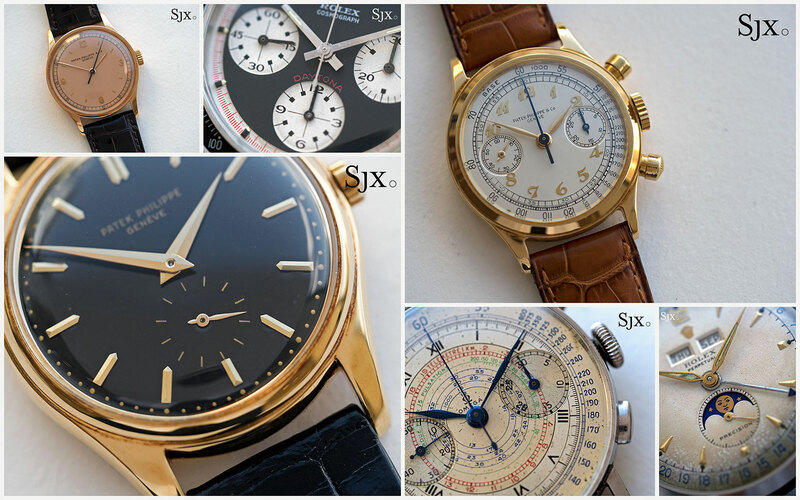 The selection includes a good number of modern complications that offer strong value for money, as well as a varied line-up of vintage watches. 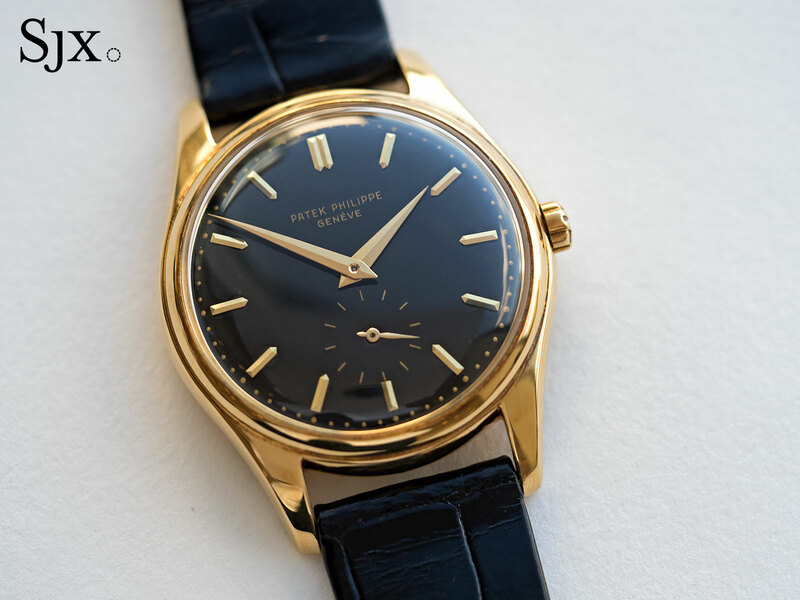 A particular highlight is a single-owner assemblage of interesting, unusual and wonderfully preserved Patek Philippe watches from the second half of the 20th century, several of which are featured below, alongside other vintage picks from the catalogue. All of the lots in the catalogue will be on show from November 24 to 26 at the Grand Hall of the Hong Kong Convention and Exhibition Centre. The auction starts at 1pm on November 27 at the same location. The full catalogue as well as online bidding is available here. 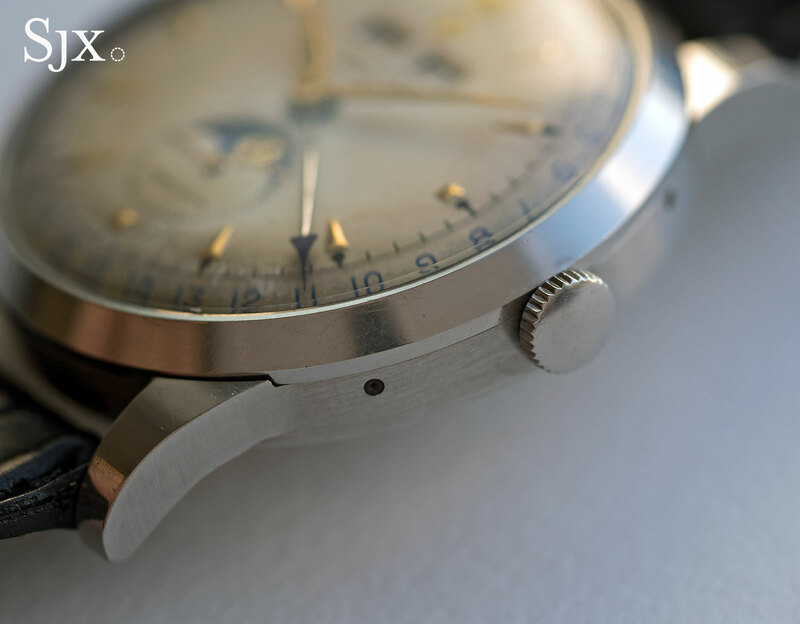 A popular watch for looking like a quintessential 1940s chronograph while being a largish 37.5mm in diameter, this type of Omega chronograph with the cal. 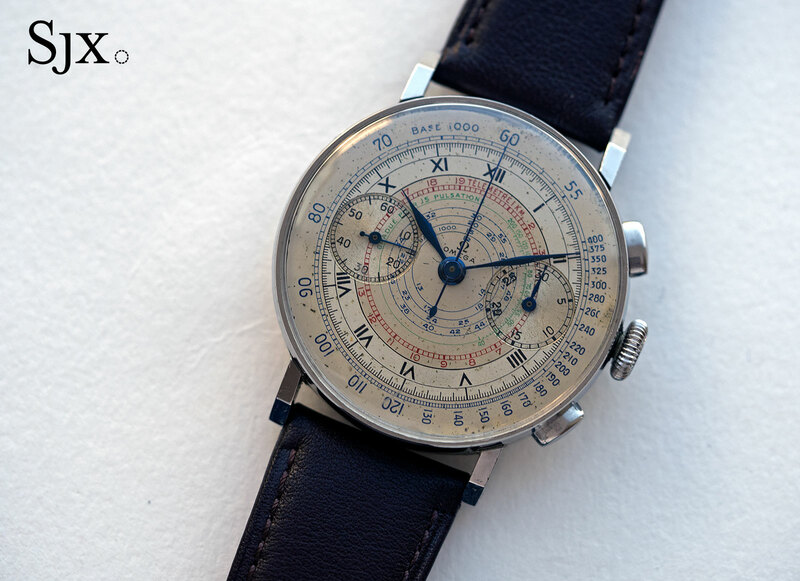 33.3 (which was based on the Lemania 15CH) was made with a great diversity of dials. This particular example has both pulsations and telemetric scales on the dial, executed in blue, green and red. And the dial has Roman hour markers, slightly less common than Arabic numerals. 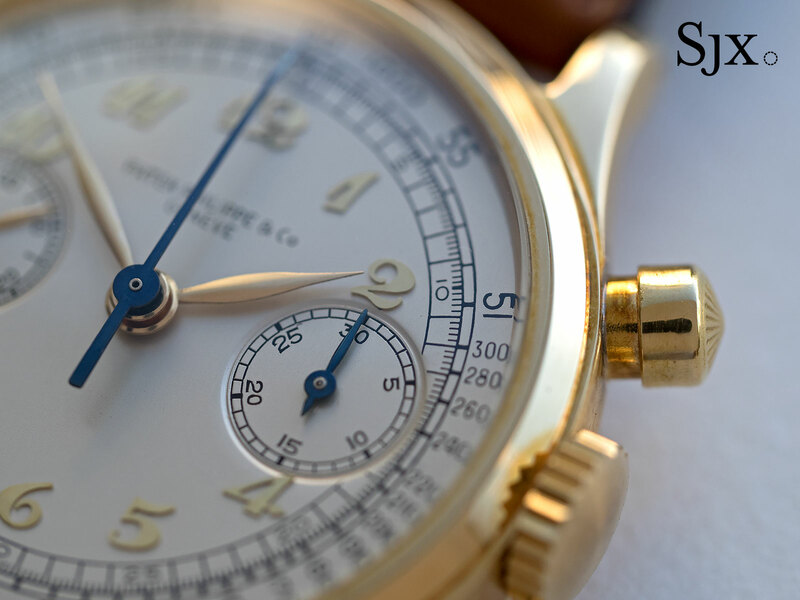 The watch is in strong condition, with even, slight aging on the dial and a case that retains its original form. It has an estimate of US$11,000 to US$15,000. 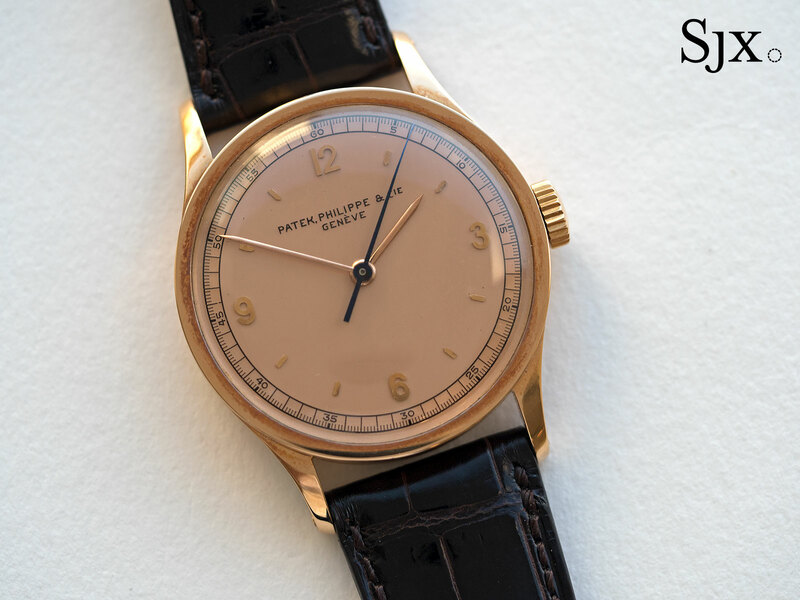 A perennial favourite combination for vintage Patek Philippe, “pink on pink” means a pink gold case with matching copper-tone dial. This 1941 Calatrava ref. 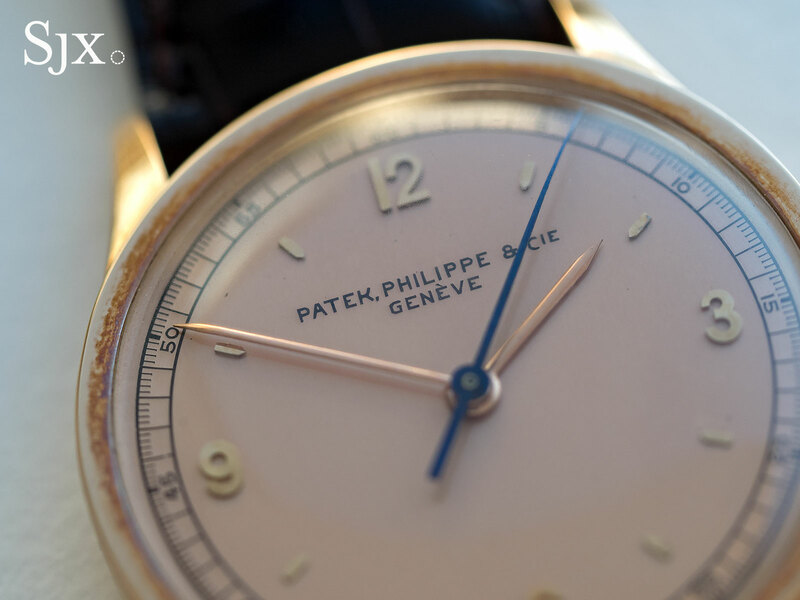 570 fits the bill, with the pink dial described in the archive extract. 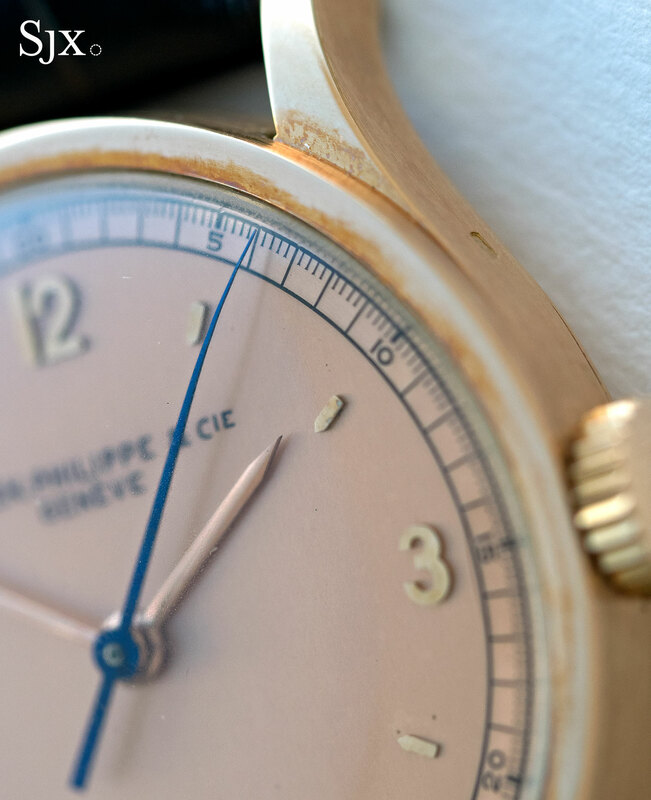 While the pink dial is uncommon in itself, the with is made more desirable by the centre seconds, as opposed to the more common subsidiary seconds. At 35mm the case is larger than average for the period, though compact by modern standards. 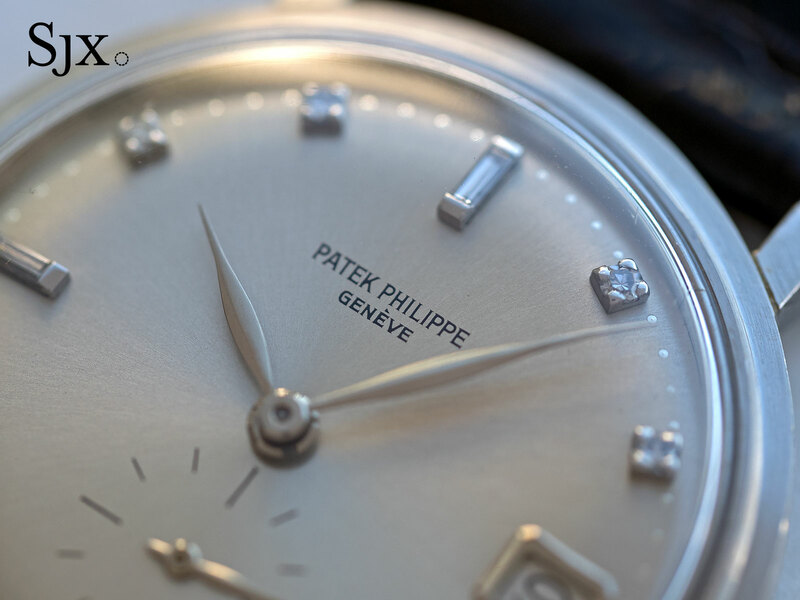 The entire watch is in handsome, crisp condition, showing minimal wear. It’s estimated at US$39,000 to US$64,000. 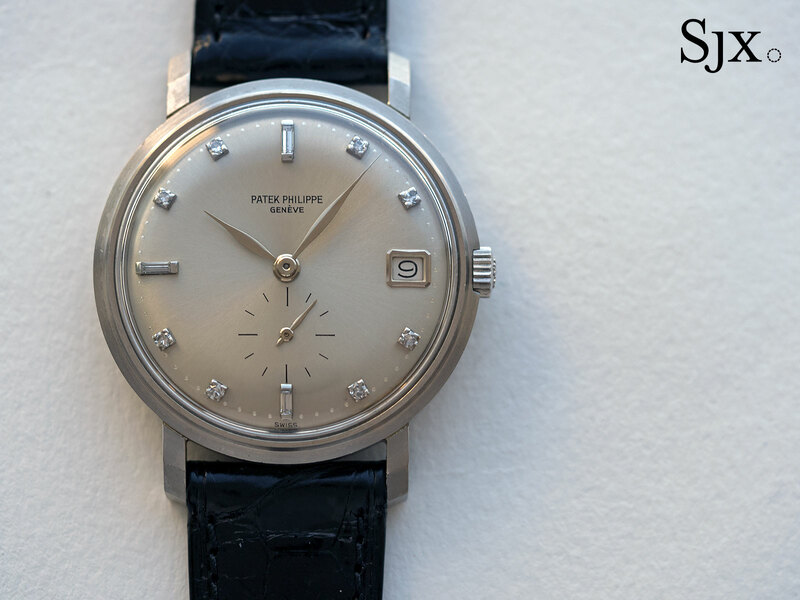 One of the most desirable time-only, vintage Patek Philippe timepieces because it was the brand’s first automatic wristwatch, the ref. 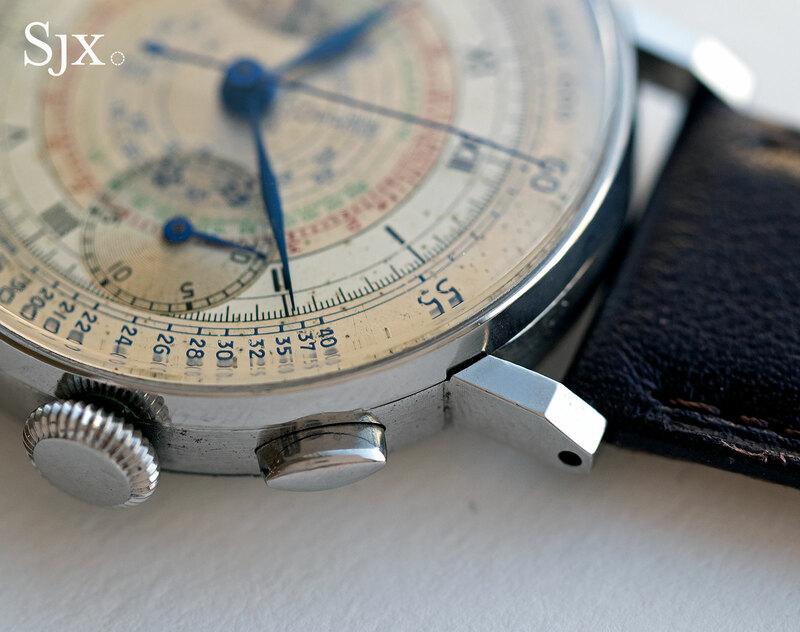 2526 was one of the most expensive watches offered by the brand in its day. 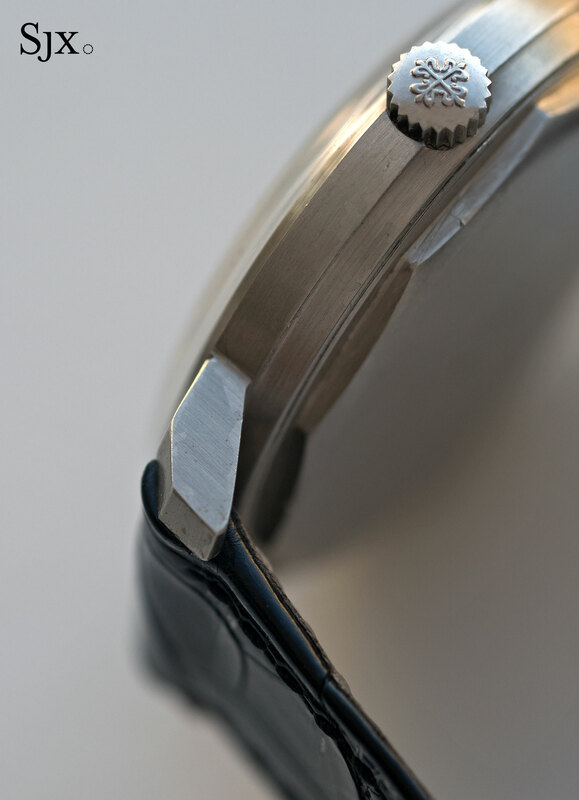 In addition to the top of the line 12-600 AT movement, the case had a water-resistant screw-down back, instead of the more common snap-back. And the ref. 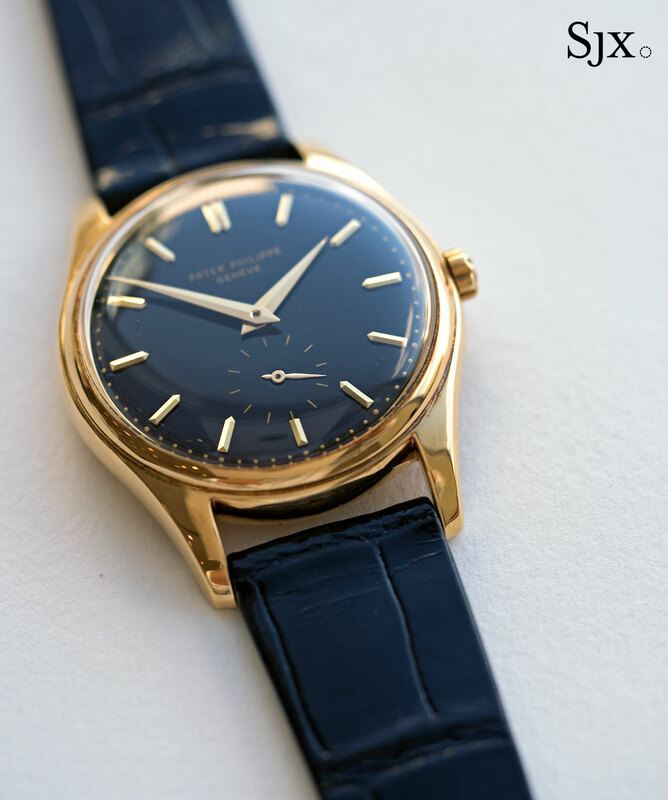 2526 was often fitted with a creamy enamel dial, and much less frequently with a black dial (or sometimes a silver dial with diamond markers). With perhaps two dozen or so known with a black dial, this is one such example, with the bonus of the dial being confirmed by the archive extract. It dates to 1955, and has a first generation dial with two holes drilled in the dial to attach each hour marker. 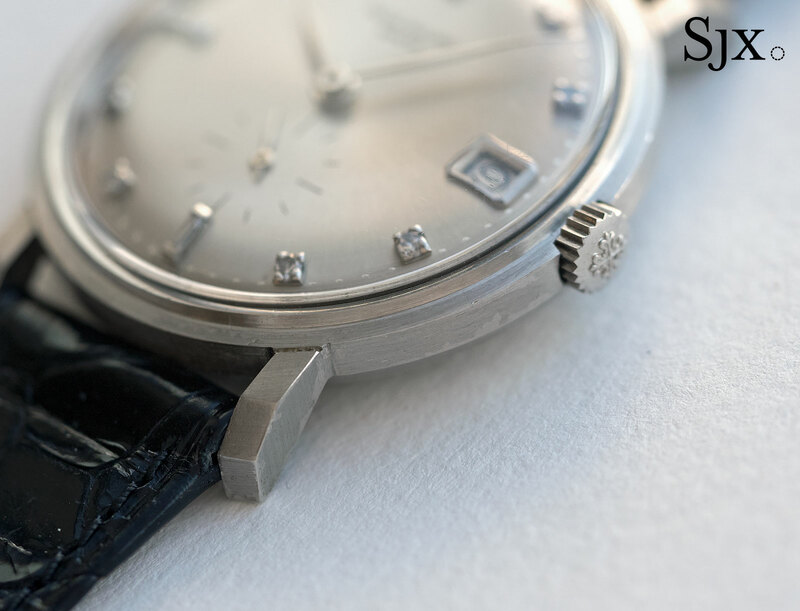 Both the case and dial are in fine condition, with the case retaining both its hallmarks as well as original double “P” crown. The estimate is US$65,000 to US$130,000. The ref. 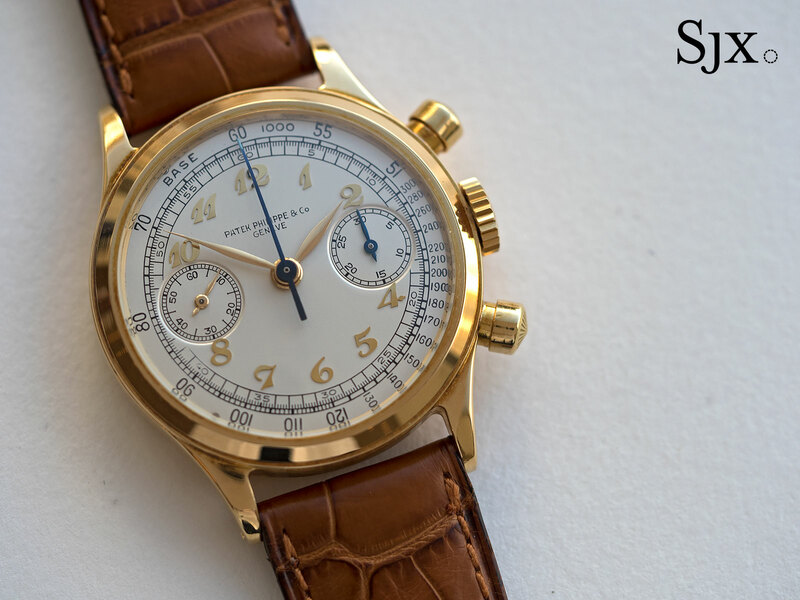 1463 was Patek Philippe’s first water-resistant chronograph, having a screw-down back and slightly larger case than its contemporaries. That makes it quite desirable today, explaining why despite being rare, one ref. 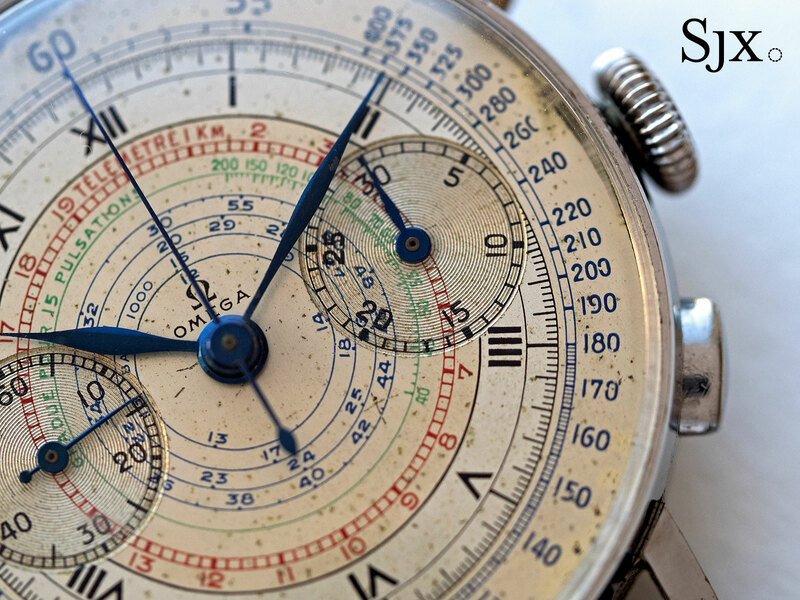 1463 will inevitably pop up at every important watch auction. Most ref. 1463s, however, cluster around a standard set of design elements and look relatively similar. This particular ref. 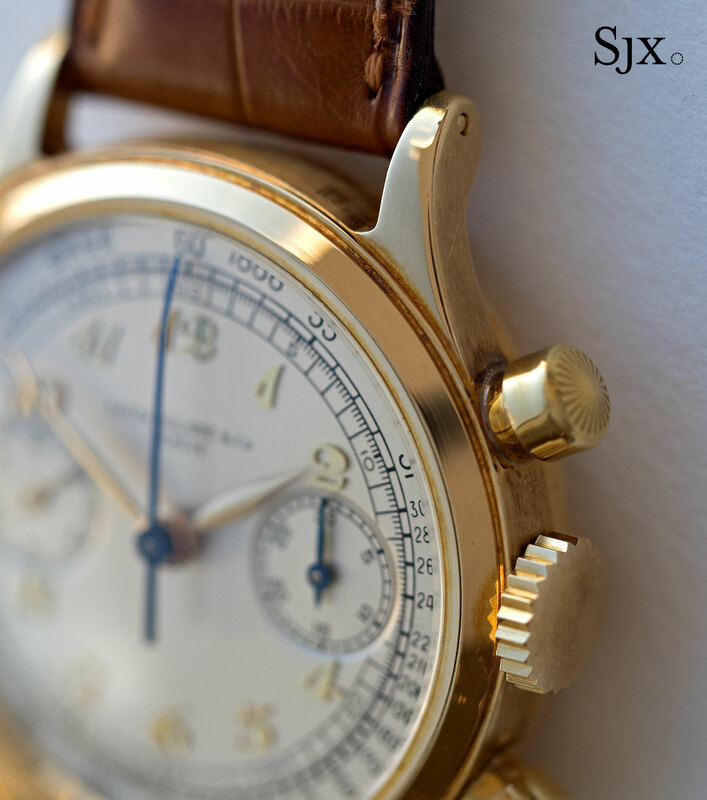 1463 is strikingly different, with applied gold Breguet numerals – here described in the archive extract – a feature that is uncommon though not unique. This specimen is also extremely well preserved, with the case still possessing its original form and lines, illustrating by the still sharp ridges on the edge of the crown. The dial is similarly clean, though it might have been cleaned in the past, albeit in the “sympathetic” manner as the catalogue explains it. The estimate is US$160,000 to US$310,000. In some ways the successor of the ref. 2526 above, the ref. 3445 is powered by the cal. 27-460 M that evolved from the pioneer automatic movement inside the ref. 2526. But unlike its enamel dial predecessor the ref. 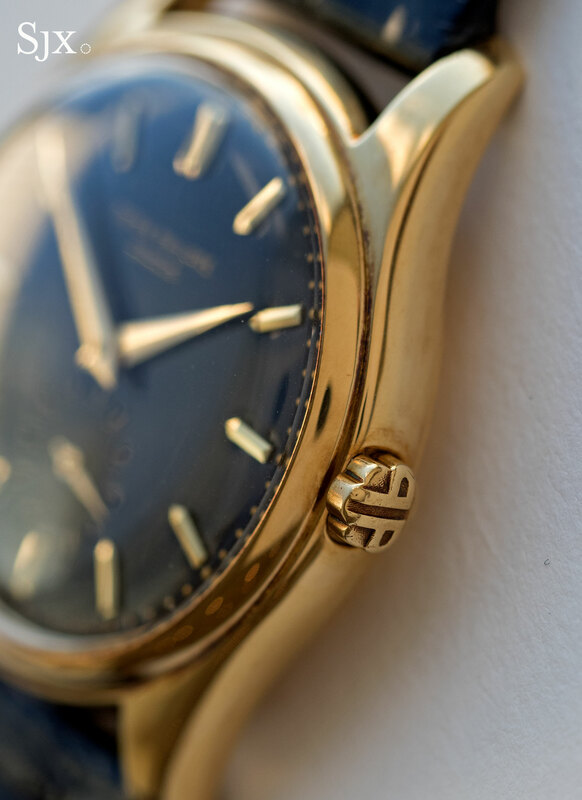 3445 is a common watch, with yellow gold versions selling for not much money. The ref. 3445 in platinum is, however, exceedingly rare, with perhaps 10 known. Of that number only a handful have diamond hour markers, as this example does. 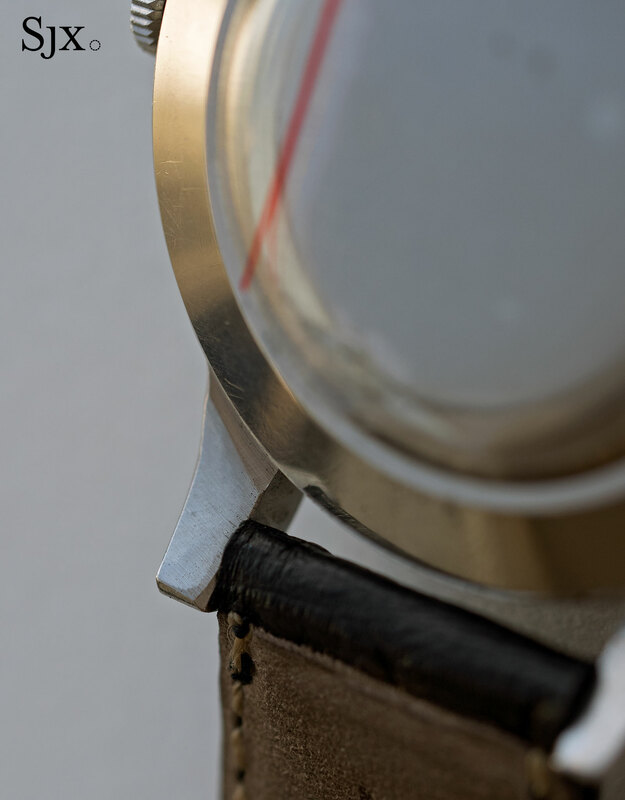 Usually a somewhat pedestrian watch due to the angular case and linear dial, the ref. 3445 in platinum has a completely different look thanks to the brilliants for the hours and baguettes on the quarters, as well as elegant leaf hands. 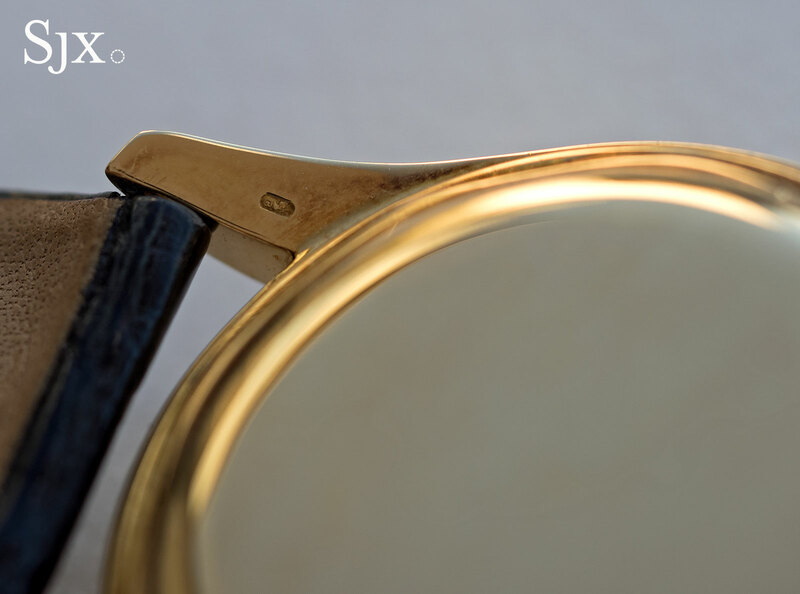 This example is made even better by its condition, with the case being so original that it still shows hints of the protective lacquer applied when it first left the factory. This very watch was first sold by the original owner at Sotheby’s in December 2013, where it went for US$75,000, all fees included. It now carries an estimate of US$65,000 to US$100,000. 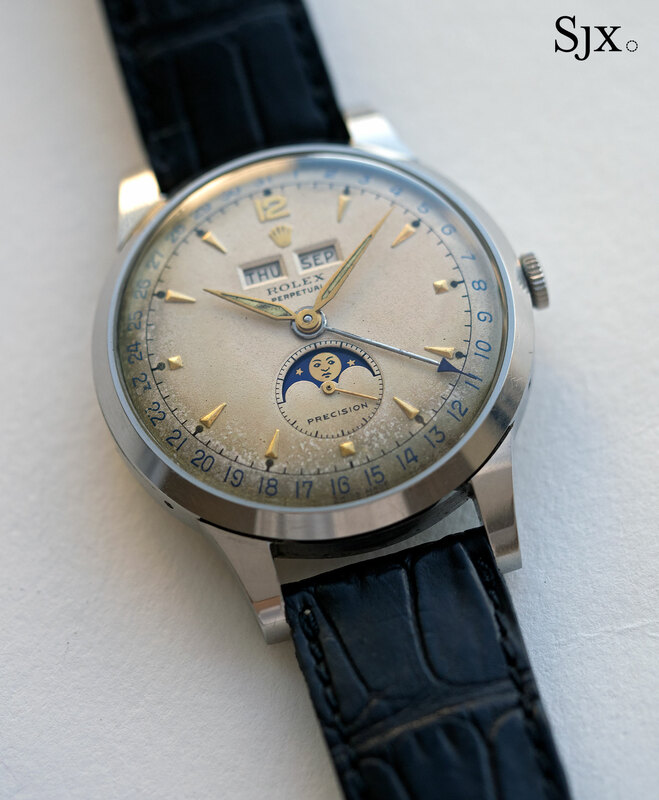 With the recently concluded Heuer thematic auction in Geneva perhaps having ushered in a period of more serene prices for vintage Heuer watches, the selection of Heuer chronographs in Christie’s Hong Kong sale will probably perform quite predictably. 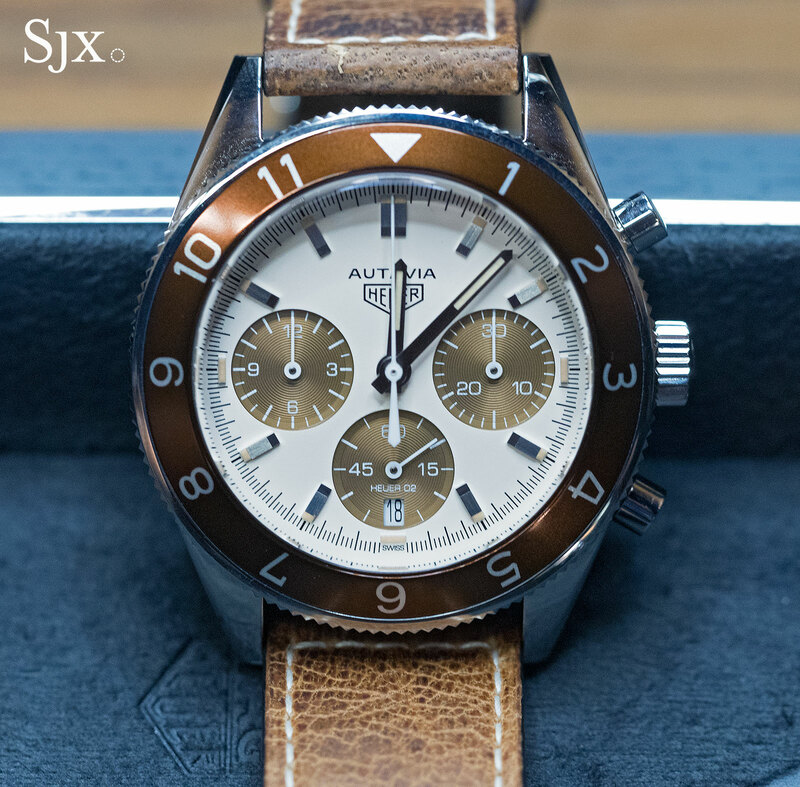 One of the several in the sale is an Autavia ref. 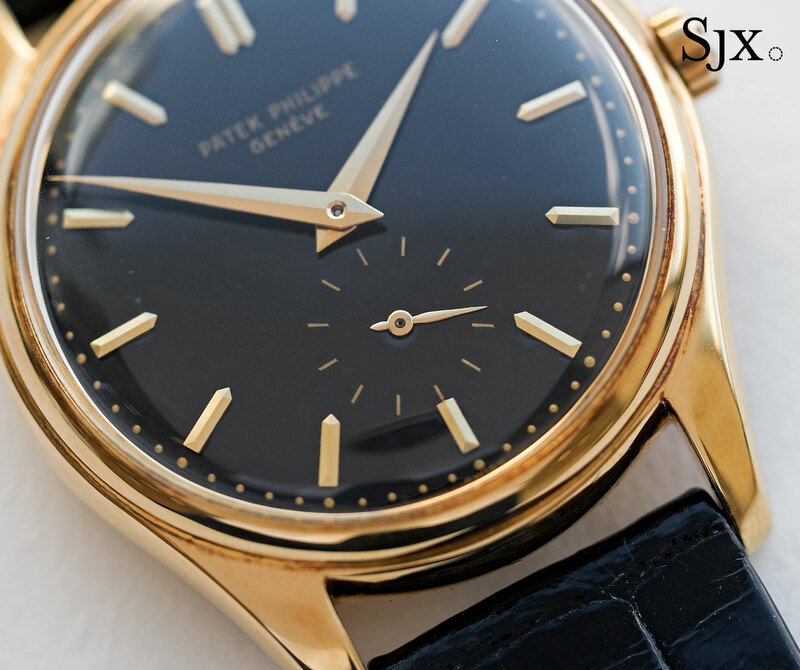 3646 “second execution”, consigned by the very person who bought the watch new in 1964. 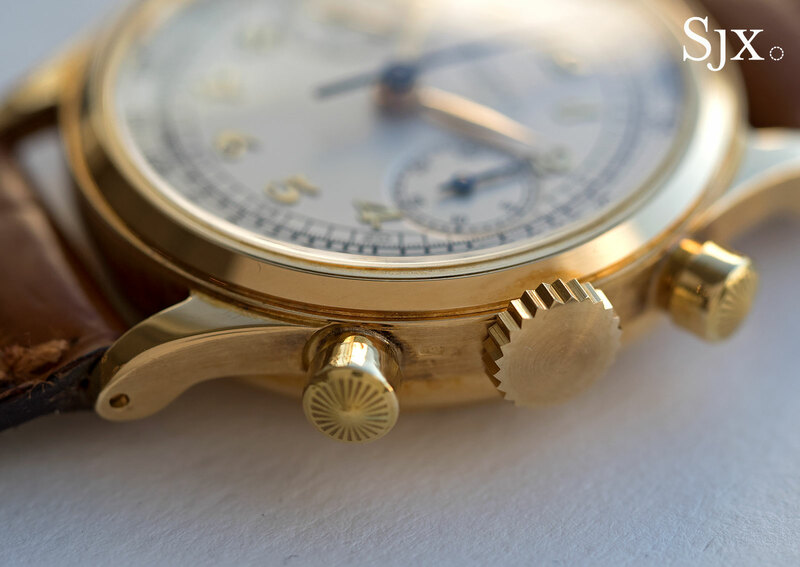 And even though the watch was bought over 50 years ago, the background story will be family to many a watch collector: the owner had a friend buy the watch in Switzerland, where it was quite a bit cheaper, and carry it all the way back to Australia. 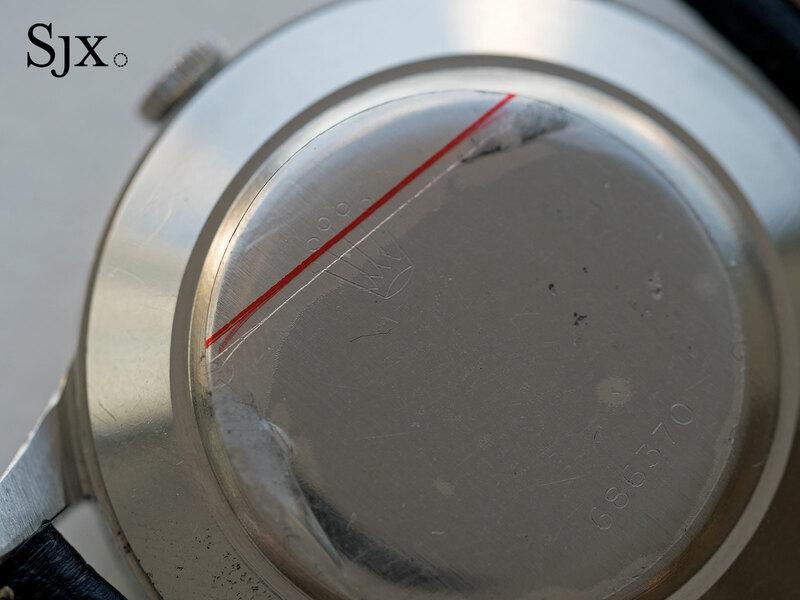 Consequently, the watch is in clean, original condition inside and out. It is estimated at US$21,000 to US$41,000. 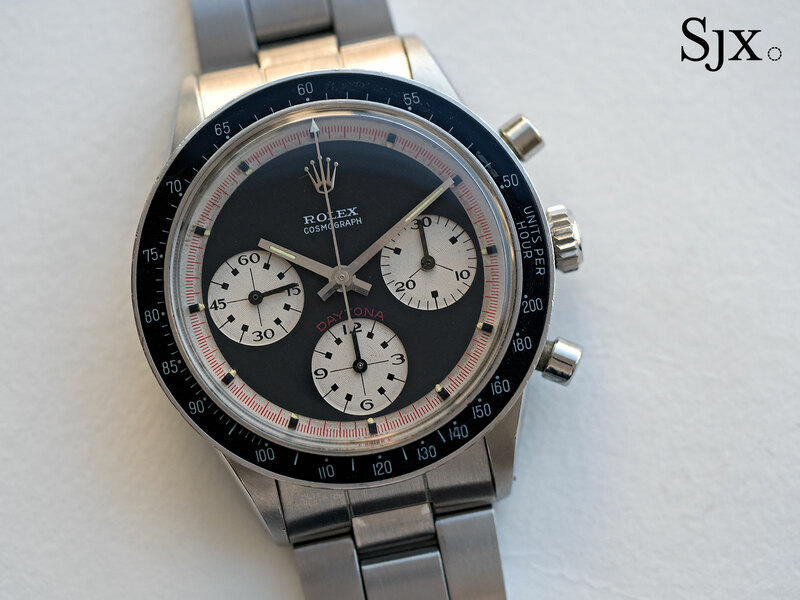 You can’t throw a stone in a watch auction without hitting a Paul Newman and this is one of two in the auction (and also the more affordable). It’s a solid, well maintained example of a ref. 6262 from 1971. 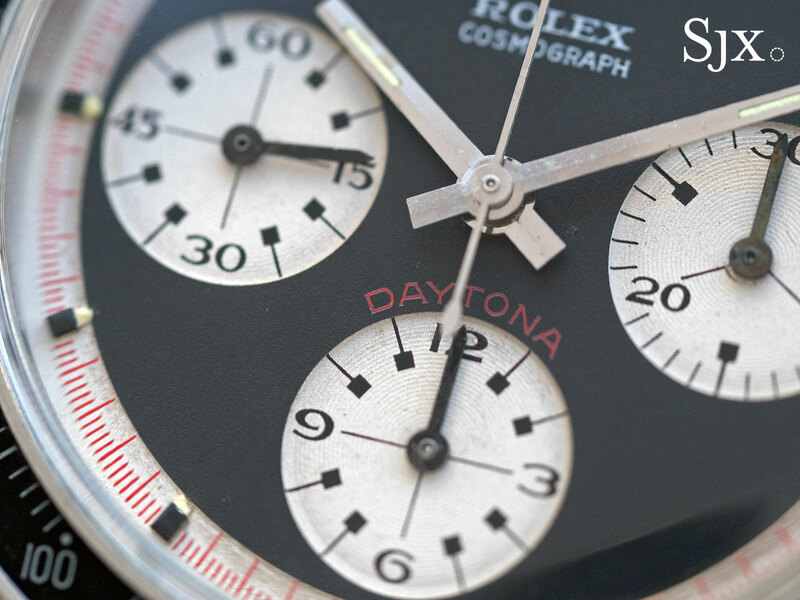 The dial does show aging on the minute track and chronograph registers, as well as having some loss to the “lume” plots, but is attractive and original. And the case is substantially original, managing to have kept its original proportions and shapes. The black plastic bezel is from a ref. 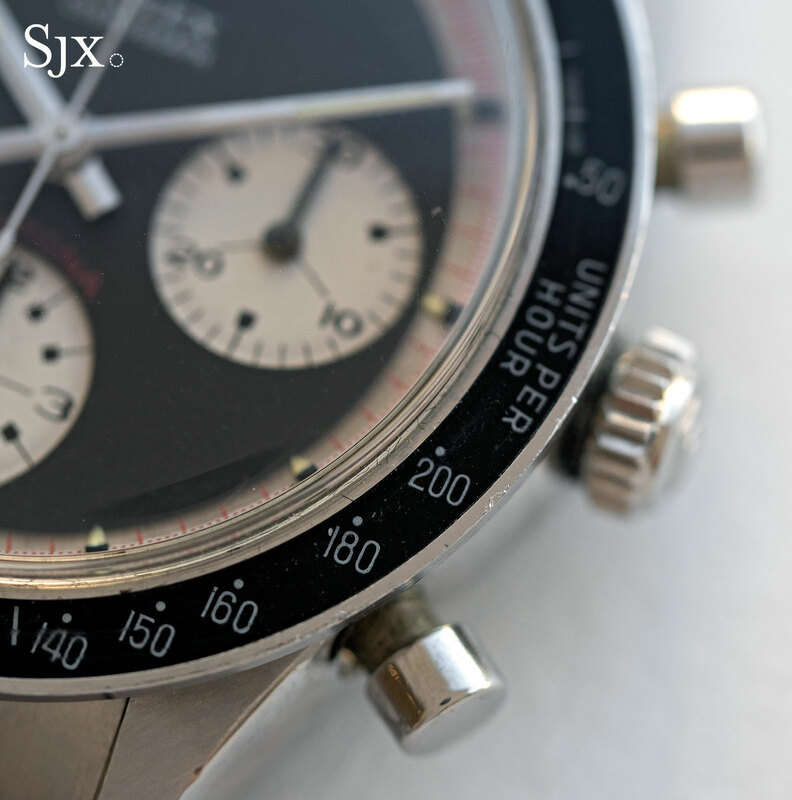 6264, a swap that is acceptable since it was common when the watches were new, and still is now. The estimate is US$120,000 to US$150,000. 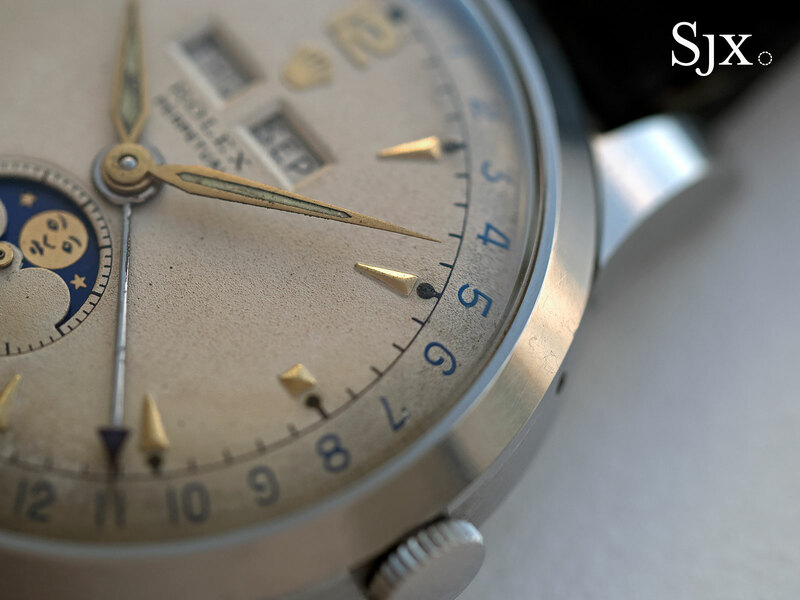 Rolex made two triple calendar models, the ref. 6062 and the ref. 8171, but only the former had a water-resistant Oyster case. The ref. 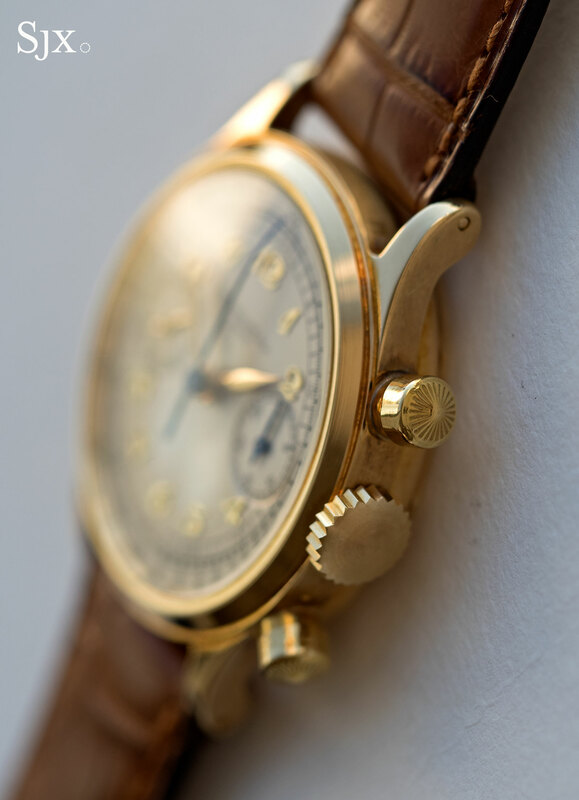 8171 had a snap back, which is why many tend to show moisture-related aging on the dial, as this one does. 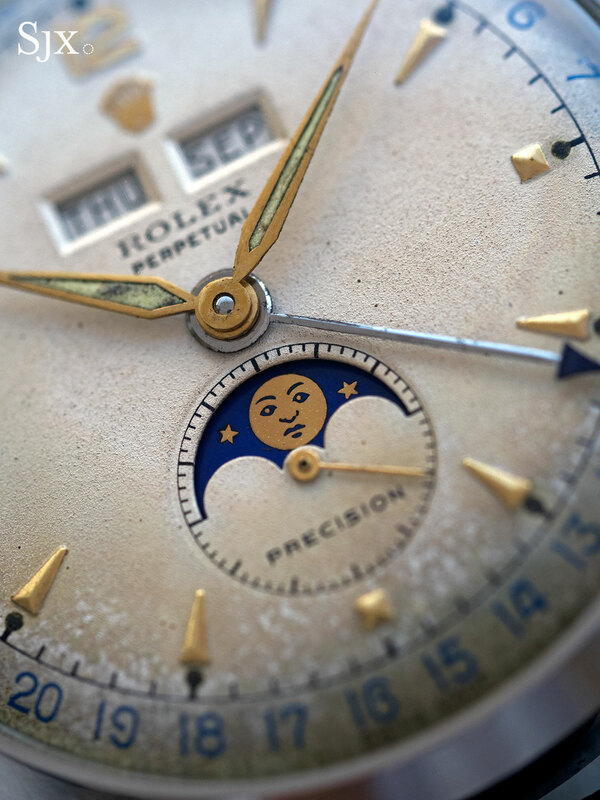 While the dial does have the model’s characteristic aging, particularly on its edges, it is original and attractive, with the slightly sceptical “moon face” being constantly entertaining. 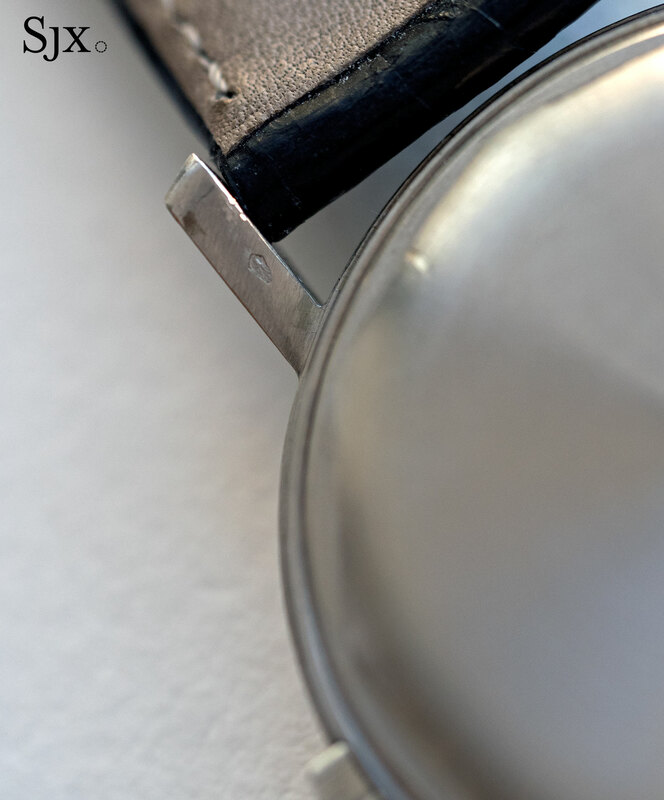 The watch case, in contrast, is in surprisingly original condition, with sharp and well defined edges. Even the back of the lugs appear quite original. 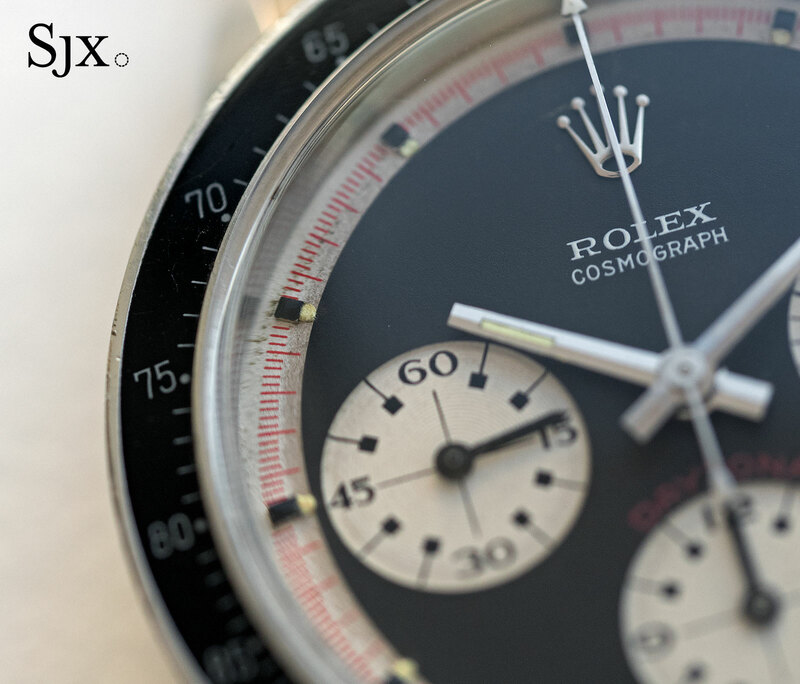 Notably, the back still bears the engraved Rolex logo and serial number, both of which are often worn away. Most commonly found in yellow gold, the ref. 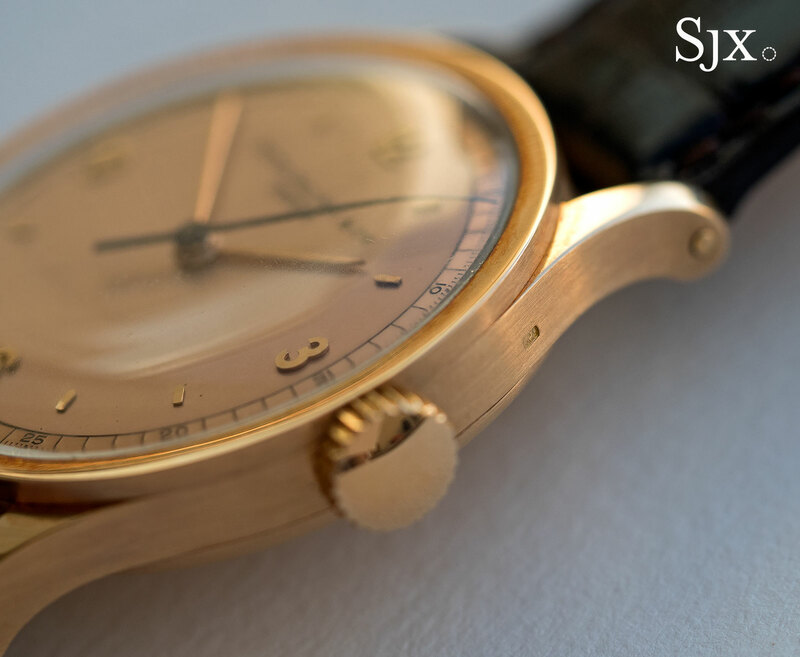 8171 is particularly rare in steel and pink gold. 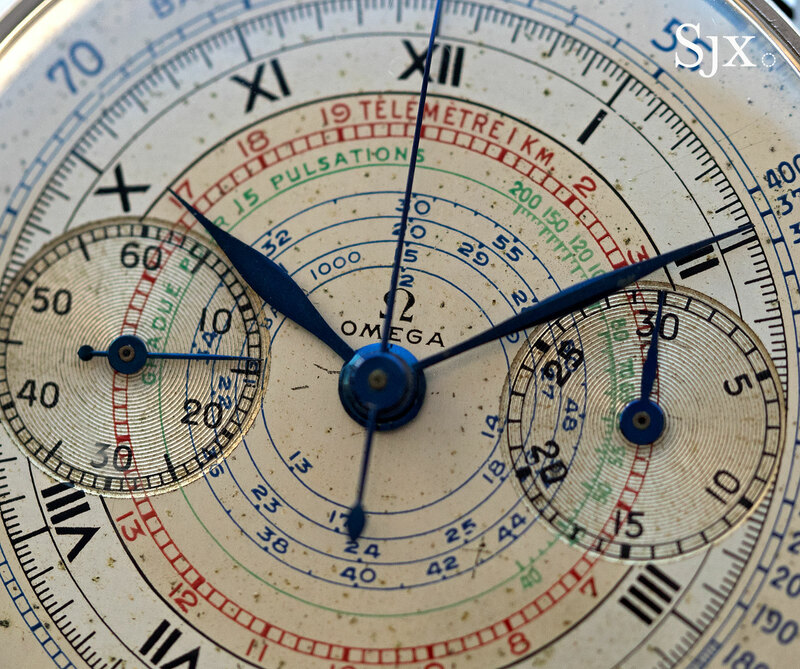 A steel example, one of the best ever to emerge at auction, became the most expensive watch ever sold at an auction in Asia when it went just over US$1m in 2016. This carries an estimate of US$120,000 to US$170,000.